There are seven licensed homestays where each village consists of 30-100 local homes. They don’t just offer comfortable beds and friendly hosts but also local activities and kampung trails await those who wish to see a different side to Penang. There's no better way to know Sungai Setar than through its food. 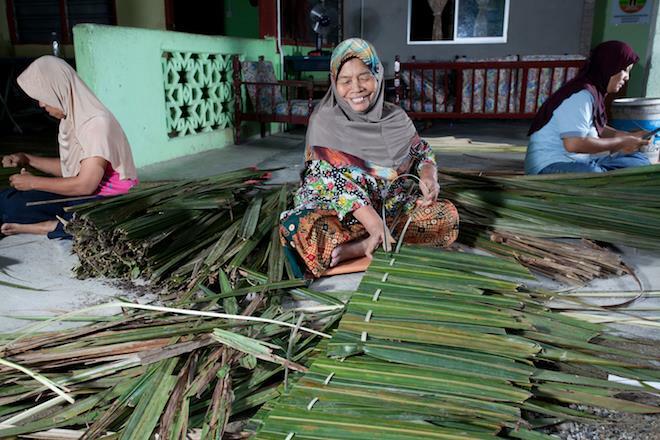 A paradise for food lovers, a stay in Sungai Setar will offer a glimpse into the local food making business which is regularly managed by the women folk. 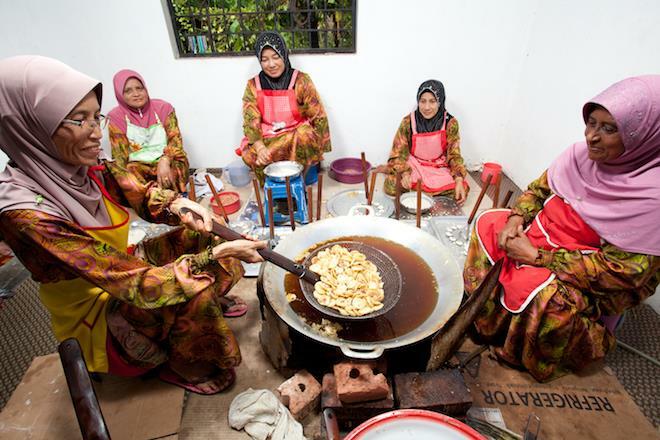 Situated at Mukim 9 and 10 of Pekan Nibong Tebal, catch behind-the-scenes making process of local delights such as egg noodles, coffee, banana pancakes, cookies and cendol. Aside from that, you’ll get to catch the women folk prepare other local delicacies such as coconut candies, lentils and peanuts, rempeyek ikan bilis and more. Mengkuang Titi is home to Penang’s largest dam that also serves as Seberang Perai’s favourite jogging spot. Situated 32KM from George Town, Mengkuang Titi comprises of around 800 friendly residents who are more than happy to show any visitor other fascinating aspects of Mengkuang Titi. We recommend tagging along one of their kampung trail activities for rubber tapping demonstration, fruit farm, cattle and goat farm as well as coconut tree climbing which is a favourite children’s pastime here. There’s also a visit to kuih bahulu factory that produces the traditional Malay treat. 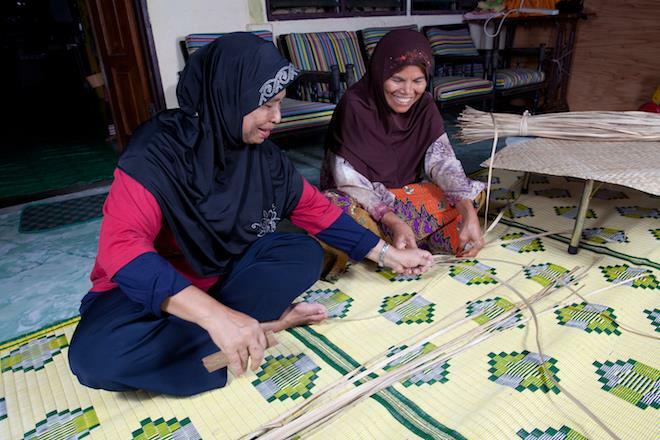 If you prefer to get creative, sit for a demonstration on traditional powder making and mengkuang weaving. Famed for its abundance of ikan sembilang, otherwise known as catfish, it is only expected that Sungai Semilang’s speciality is the gulai ikan semilang. If you would like to catch one yourself, the homestay residents at Sungai Semilang are ready to impart some local fishing tips. See the professionals in action and learn saltwater fishing, freshwater fishing or cage fish farming within a day. Apart from that, their kampung trail activities will reveal the nearby nipah forest and nipah leaves cigarette demonstration. There’s also a pineapple plantation where you will uncover a variety of food and condiments made fresh from the day’s harvest. 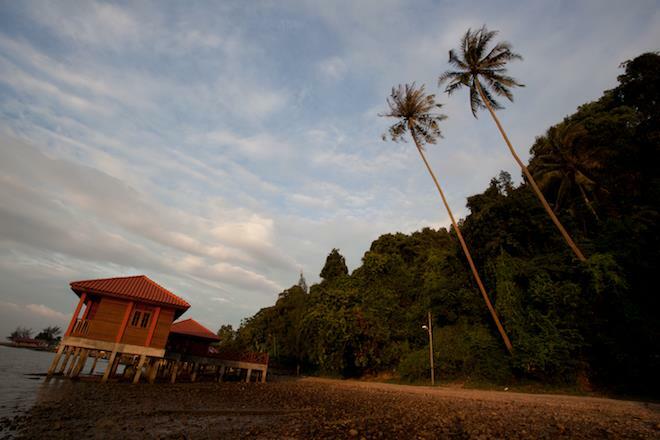 Aside from its riveting landscape, Pulau Aman is a small fishing village known for fresh seafood and fish cages. Therefore, a vacation spent at Pulau Aman promises exciting activities such as cooking demonstration and day trips to witness how shrimp paste and salted fish were manufactured in the village. Relive your childhood memories with a round of traditional kampung games such as sukun bowling, galah panjang, sepak raga and kasut tempurung, which are all easy to learn and fun to play. Don’t leave home without sampling their sukun crisps that tastes just as good as your regular potato chips. 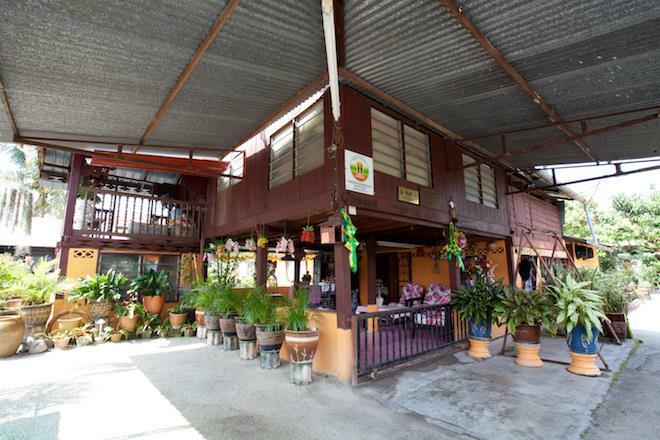 Situated close to the area of Sungai Jawi, Sungai Duri is our secret paradise for fresh fruits and local Malay delicacies. For starters, the women folk will prepare homemade ketupat rice to try and we must say that goes well with a dollop of curry. If you have room for dessert, a stroll to the tropical fruit orchards will be rewarded with freshly plucked fruits such as papayas and pineapples. There are also day trips to the herbal farm called Warisan Park and a trip to the village industry for sights of catfish pond, farm and cow and goat rearing. The best time to visit Sungai Duri is during September to December where you’ll get to visit the migratory bird’s area. Approximately 40KM from George Town is Kota Aur, an area that is widely known for its thriving agro-eco tourism. 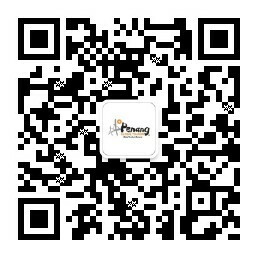 In other words, you will find a mix of farming and nature-based activities in one place. 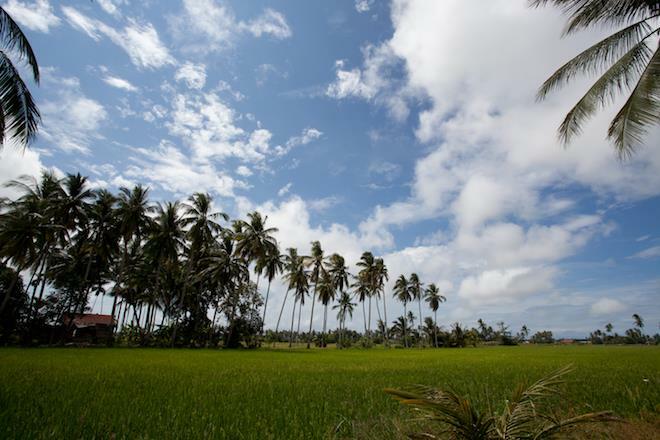 Surely to captivate you at first sight is its spatial paddy fields dotted by lush fruit farms and a dear-rearing farm. The view may be enthralling to most but there are also plenty of things to do around Kota Aur. Spend a couple of nights at Kota Aur’s homestay and the locals will take you on a day trip to nearby sights such as the whispering market, Tsunami monument and Merdeka beach to add a bit of colour to your pale cheeks. For the real kampung experience, brave the upward climb and learn the art of coconut plucking as well as coconut granting. If you’re more culturally inclined, enjoy various cultural performances such as a local community choir called burdah and tomoy, which is a form of Muay Thai martial art. The warm hospitality of Sungai Chenaam homestay is one reason why many travel far and wide to spend the night here. 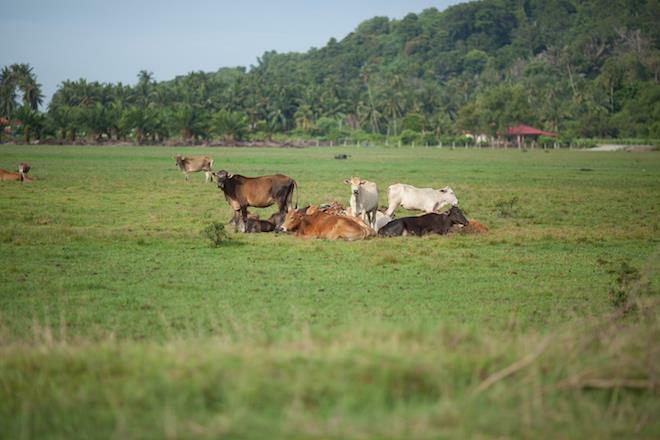 Another reason is their popular agricultural activities that gives you a sneak peek into their green paddy fields, palm oil plantations and rosel farm. Apart from that, who could resist a play of traditional games with the neighbourhood kids? Join them for a quick game of coconut bowling, gasing, duck catching, marathon bendang and more. It sure sounds like a lot of fun but all the running will have you craving for their local catfish curry, ulam, keropok ubi and keropok lekor for post-workout binge. All images and information courtesy of Tourism Malaysia.